Tony Award winner Mary Zimmerman brings an ancient and beloved Chinese fable to life in a dazzling new adaptation hailed as “strikingly beautiful” by National Public Radio. The White Snake chronicles the tale of a gentle serpent spirit who lives for centuries coiled on a mountaintop. One day, she transforms herself into a beautiful young woman and, with her feisty companion Green Snake, travels down to the world of humans. There, she unexpectedly finds love, happiness and family, and vows to remain a human forever. But when a vengeful monk discovers her true identity, he becomes determined to destroy the life that she’s built—and break apart her marriage to her one true love. 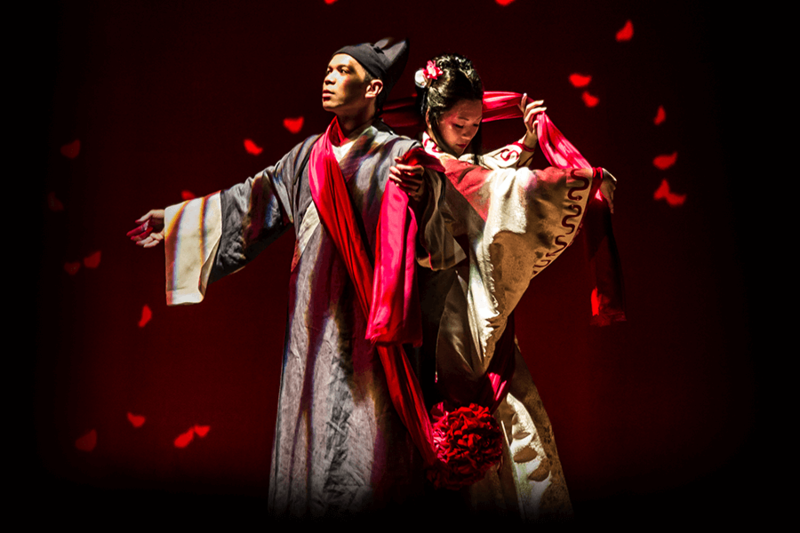 Funny, moving and stunningly staged, The White Snake is a ravishing theatrical spectacle that will enchant and delight. "Opulent, dancerly, fluid and funny"
"Zimmerman's lastest show...is more powerful than ever"
startlingly funny and hypnotically beautiful"
"The White Snake is a show that'll stay with you for a long, long time"
"Seeing a show at the Goodman Theatre is something which every Chicagoan should do"
"Goodman's The White Snake proves a charmer"